Note: Same package available from ₱ 8,700 per person, based on 2 persons per standard room, if you opt to stay in standard category accommodation in Donsol. 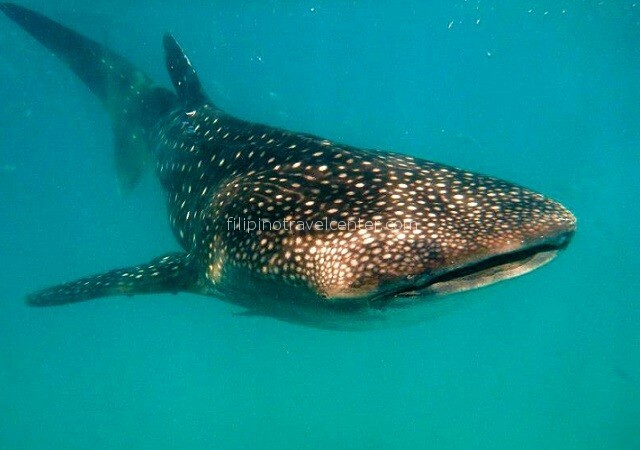 Experience an unique phenomenon hard to find in other parts of the world: world’s biggest fish, the whaleshark, a gentle giant that can be as long as 8 meters and weigh 40 tons. 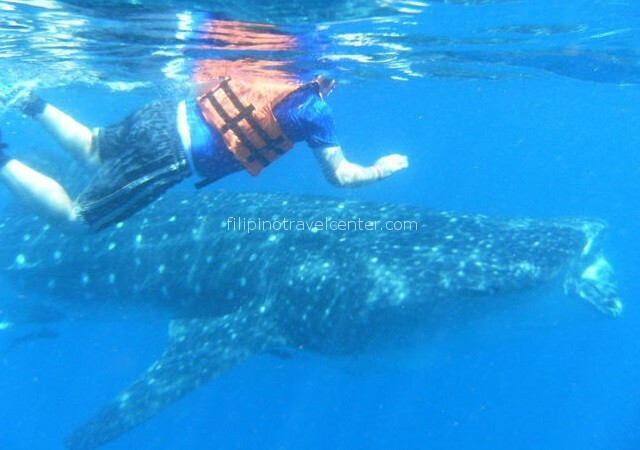 Watch them ponderously glide alongside your boat or choose to swim along with a “Butanding”- or even several – some 10 of them at any one time on lucky days. 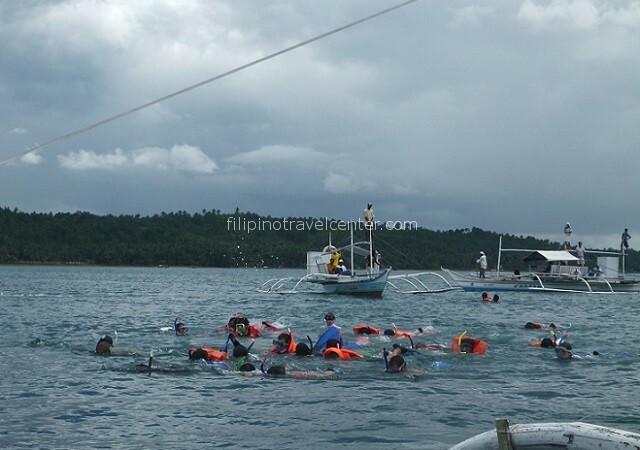 They converge in the tropical waters near Sorsogon Province from November – June with peak sittings in February – May due to the abundance of plankton during these months. Note: Itinerary might change depending on local weather conditions. Rates subject to change and not valid on super peak dates. Upon arriving at Legaspi airport at 09:10 am (*), our representative awaits you for your private transfer consisting of a 50 minutes land ride plus a 30 minutes fast boatride to Cagraray island in Albay Province. 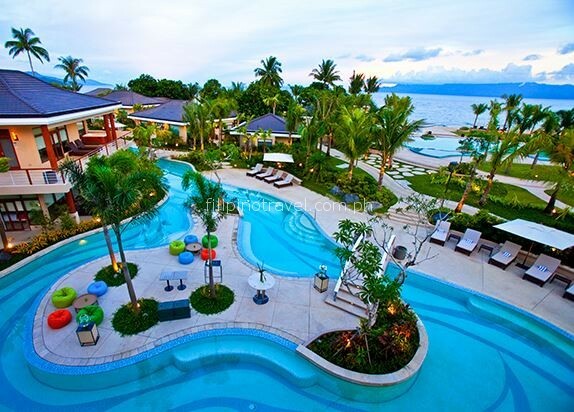 Rest of the day free to relax under the palm trees of this privileged deluxe Philippine getaway. Or enjoy some action on the all-terrain vehicles, mountain bikes and dune buggies. (*) Depending on your time of arrival & departure. Send us your correct travel time and we are pleased to customize where needed. Breakfast. Be ready to depart for your whaleshark interaction. Around 12 noon your snorkeling with the giants is unfortunately over and you have the afternoon free to digest this unique experience and relax. Breakfast and check-out. Arrival is estimated around 12 noon, on time for an early check-in at the airport assuming your flight will depart 14:20 pm (*). You may opt to have lunch at the airport. 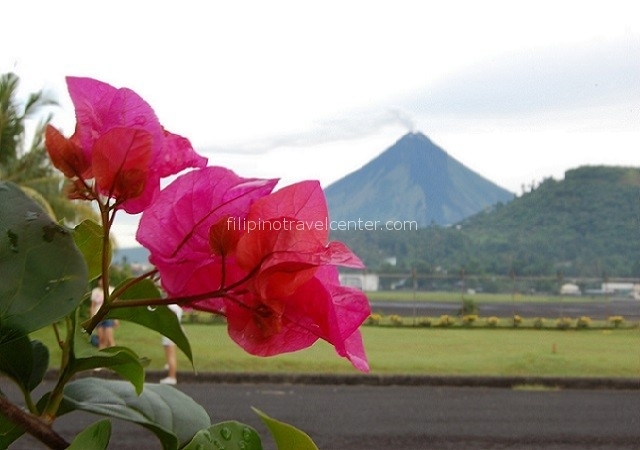 Standing at 2,421 meters, Mayon Volcano is a popular tourist attraction in the Bicol region. To add to its international limelight, Mayon is the most active volcano in The Philippines, having had 47 eruptions in the past 400 years. Due to Mayon’s volatility, the volcano is continuously monitored by the Philippine Institute of Volcanology and Seismology (PHILVOLCS). Meet your coordinator in Legaspi City at 6 am. From here commute to Lidong, Sto Domingo where the trek will start under guidance of a mountain guide. You will be rewarded by lunch at Mt Mayon. After a long but rewarding day it is time to commute back again to Legaspi City where you are expected to arrive by 18:00pm. – Accommodation after the trek.